Do you want to sell the walnut trees on your property? If so, you should call Walnut Timber Buyers right away. We will get you the best money for the product you have naturally on your land. However, many people don’t even realize they have walnut on their property. Why not schedule an appointment so we can come out to investigate? It could result in a big payout you didn’t realize was coming. We are dedicated to providing professional logging services, delivering some of the best services in the industry. Our clientele includes private landowners, loggers, and importers. So, do YOU have walnut timber in your yard or on your farm? Call us today. You can get cash money for all that natural wood. We are the walnut tree buyers in IL, IA, MO and WI can depend on. Why Choose Our Walnut Tree Buyers? Choosing the right timber buyers for your needs is imperative. Many landowners need guidance on how to sell timber in IL the first time around. If you choose the wrong company, you could be sacrificing a lot more than you realize. With us, we truly care about giving you good money for your walnut. Other companies will lowball you so they make more out of the deal than you. Choose the ones who will go above and beyond to ensure farmers, landowners, hunters and importers get the best deal possible. 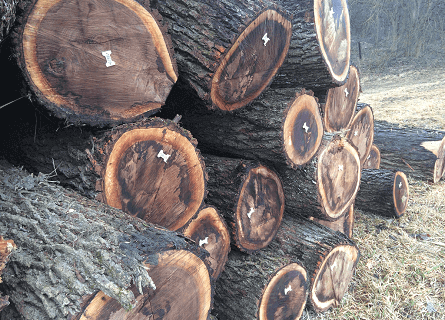 As buyers of standing timber and cut logs, we specialize in white oak veneer and walnut trees, especially black walnut logs. We handle large jobs of all kinds here at Walnut Timber Buyers, from farmland to recreational properties to hunting grounds. 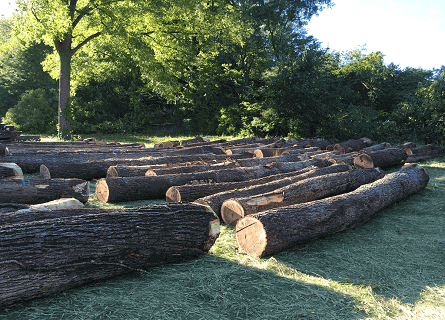 If you are in need of a logging company or trusted walnut tree buyers in Illinois or the surrounding states, please contact us at (309) 326-9711 or fill out our online form. We promise to contact you within 24 hours.